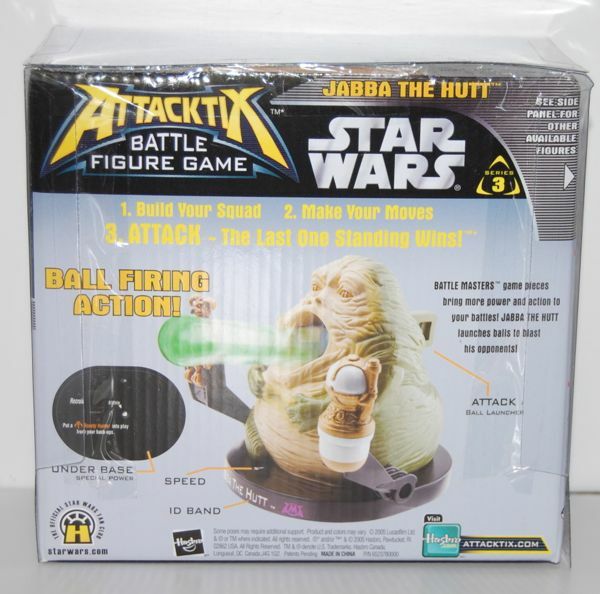 I don’t really know much about the Attacktix game, but I do know that each player has several figures that shoot or swing a weapon, and they try to use these to knock over their opponent’s pieces. 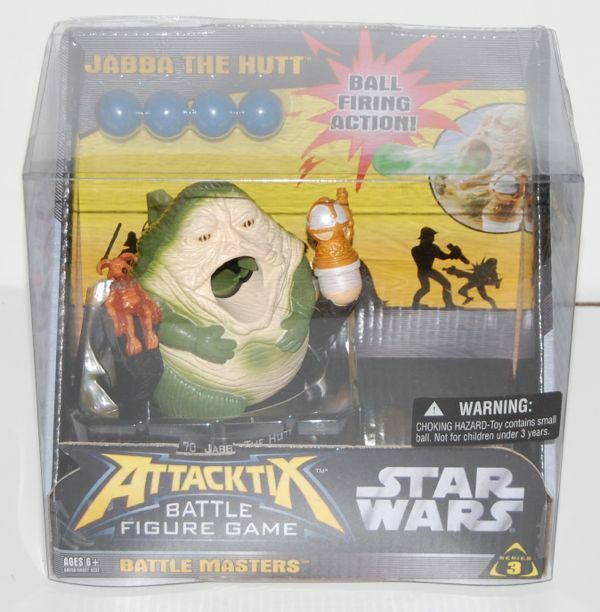 Hasbro had lines available from a variety of properties, such as Transformers and Star Wars. I find most of the figures rather silly looking, since they have very oversized weapons. And I suppose the same can be said of this piece, with its huge mouth (even for Jabba), but I kind of like it. I get a bit of a spitting Jabba vibe from it. It comes with some blue balls (ahem) that you put in his mouth (double ahem). He can shoot them at other game pieces when you push the lever on his back.